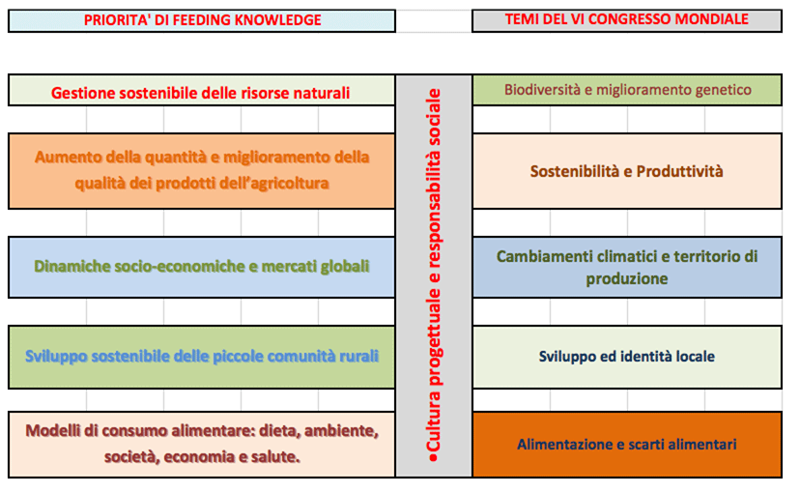 The relationships between the topics of the Congress and the priorities of the call feeding Knowledge of Expo2015 are obvious. The themes of the Congress focused attention on the mode of production, adaptation to climate change, nutrition and food waste and therefore the identity of the food product and its production sites. A theme is cross and that is what the culture of design and social responsibility in the action of the trader or researcher. In practice, how to feed the world with social responsibility for the perpetuation of the resources available on our planet.